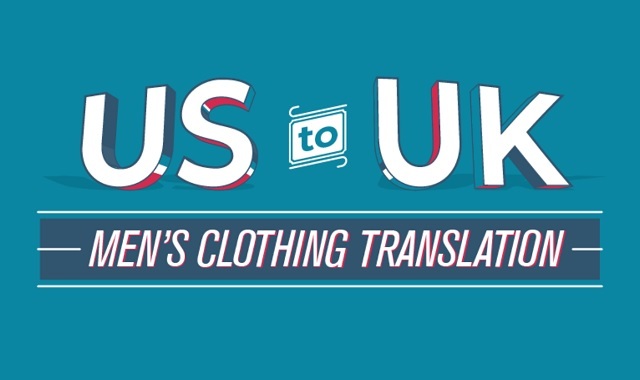 US to UK men’s clothing translation #infographic ~ Visualistan '+g+"
Ever wondered why the British blush when you compliment their pair of pants? Despite how much we have in common with our UK cousins across the pond, tiny differences in vocabulary can lead to massive confusion. Check out samuel-windsor's handy clothing translations and you’ll never find yourself scratching your head in confusion again.